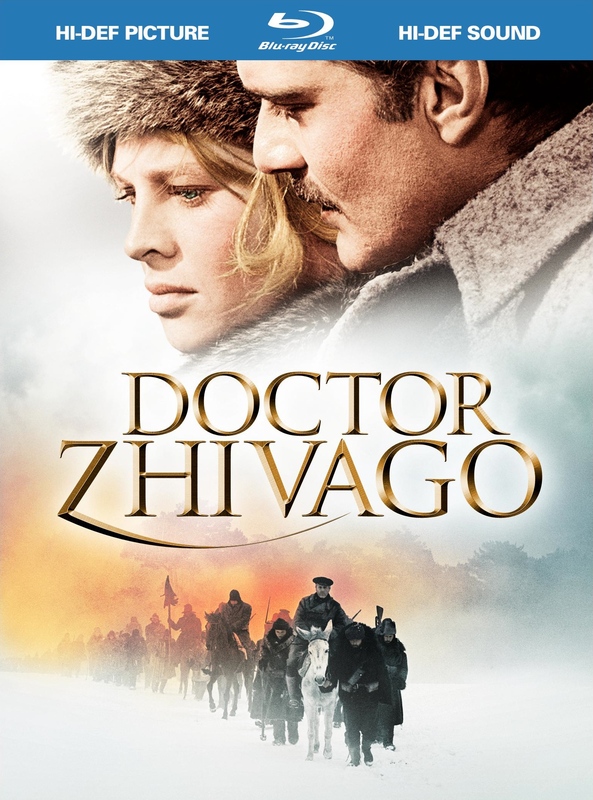 In New York to promote the 45th anniversary re-issue of David Lean’s gorgeously restored Doctor Zhivago (Warner, DVD $24.98, Blu-ray Book $35.99, released May 4, 2010), Rita Tushingham chatted with Disc Dish about the film. 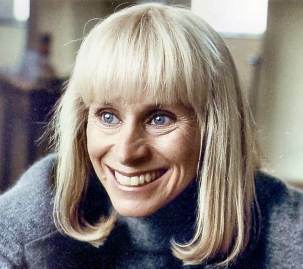 One of the most recognizable actresses to emerge from Britain’s “Swinging London” cinema of the 1960s, Ms. Tushingham is best known for her roles in Tony Richardson’s A Taste of Honey (1961), Richard Lester’s The Knack and How To Get It… (1965) and, of course, Doctor Zhivago. 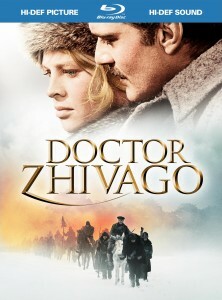 DD: What’s your reaction to Dr. Zhivago today, 45 years after making it? Tushingham: I don’t react to it, really. I’m just taken by the piece in its entirety and how it was crafted and acted. I love the look of the film now even more, now that it’s been so beautifully restored. DD: How did you get the role in the film? Tushingham: A true story: I was shooting The Knack and How To Get It… with Richard Lester, and one of the crew people came in with the evening newspapaer and said, ‘Rita, you’re going to be doing David Lean’s next film, then?’ ‘Is that right?,’ I answered. It was literally just like that, but it all worked out. I didn’t actually meet David Lean until I went to Spain, where they were shooting a scene with [co-star] Tom Courtenay. I met David Lean and then we all met with the hairdresser and make-up people. But that’s how we met. DD: All of your scenes in Zhivago are opposite Alec Guinness (Star Wars). Tushingham: Oh yes! He was a wonderful actor and very easy to work with, and he had a great sense of humor. A lot of people thought he was a scary man, but he had a very wicked sense of humor. People often think that actors aren’t “normal,” but that wasn’t the case with him. DD: The British film industry was changing so much at that time — the focus from upper crust comedies and dramas to more working class and youth-oriented material — and you were riding the whirlwind. And there, right in the middle of the ’60s, is Zhivago, a huge, expensive costume epic. 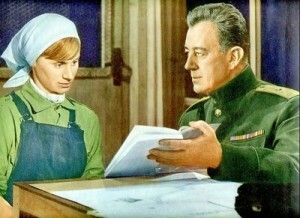 Tushingham: It always make me laugh when I think about Zhivago and all it’s gorgeous sets and costumes, and my role in it has me in a peasant dress and a scarf. Yes, it was a much bigger budget and schedule than most that I had worked on, and the production didn’t have that thing where every minute needed to be captured at every minute like smaller movies. I had worked with Richard Lester on The Knack and he would often use three cameras and he was usually ahead of schedule. With David Lean, there was time to sit and think. DD: Were there many takes? Tushingham: No, not at all. But he was a thinker. He would look at something for quite a long time, and sometimes he wouldn’t even do anything on those days. He would just note the colors and the shot and he knew what he wanted when he started to shoot. DD: And what about rehearsals? Tushingham: We would block scenes early on and talk through them. But, no, he didn’t over-rehearse. He knew what he wanted and he would do it. He and [cinematographer] Freddie Young got on very well. DD: Did Mr. Lean ever encourage any improvisation or going off the script? Tushingham: We stuck to the script, which was very good, anyway. I quite like to stick to the script – it’s rather nice to know what you’re doing. In some films, when you’re trying improvisation, if it’s not good, it really isn’t good! You can always tell when it’s not working — people jump in on other people’s lines and it loses its structure. And Zhivago’s script was so well-crafted that we didn’t have to change it. The only film I’ve done that we improvised a lot on was The Leather Boys [directed by Sidney Furie], and the editor made sure it all worked. DD: What was it like to be in a film whose production was always being reported on in the era before the saturation of movie gossip magazines and TV shows like Entertainment Tonight? Tushingham: The lucky thing was that there weren’t nearly as many gossip magazines back then. I think there’s so much pressure on young actors now, with all the magazines and the Internet and so on. In the ’60s, which was an exciting time, I just thought that’s what it was like — you would occasionally read about yourself, but you could get your work done. It was only upon reflection in the ’70s that I realized what a special time it was. DD: What are the biggest differences between making films in the ’60s and making them today? Tushingham: Well, now the cameras are much smaller and lighter! That’s one thing. And today, everyone is always in a panic to get the job done unless, of course, they have a big budget. It’s amazing how a film can be made with such a small amount of money and still be a success. And a lot of people — actors, directors — are willing to do it for a small amount of money so it will get made. There’s a difference in that sense. Zhivago was such a big film that it wasn’t anything the producers worried about, but that’s something you get on other films.